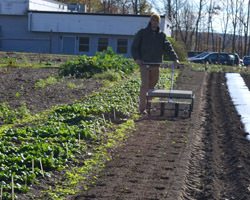 Produce firm, seeder-friendly beds for better seed-to-soil contact. 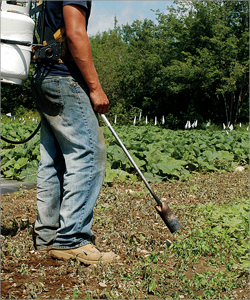 This will ensure earlier and more consistent emergence, enhanced root development, and more vigorous growth. 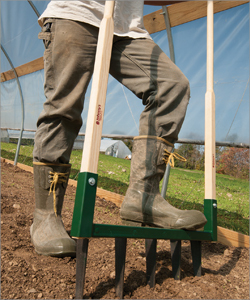 Preserve soil structure while minimizing weed seed surfacing with Johnny's Broadforks. 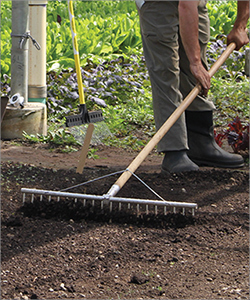 Mix in compost and fertilizer while chopping up roots of a previous crop with the Tilther. 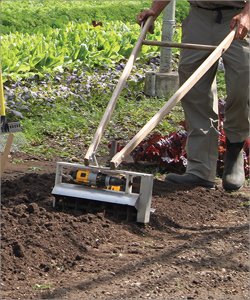 Create perfect seed beds for successful precision planting with a Bed Preparation Rake. 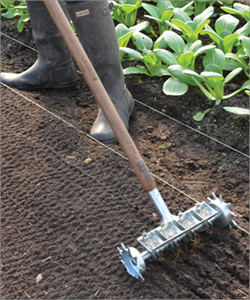 Prepare a smooth, firm surface for direct seeding. Wait a few days for weeds to grow, flame-weed them, and then seed. 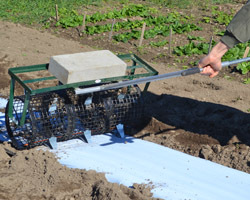 Precision Seeders save time, labor, and seeds. 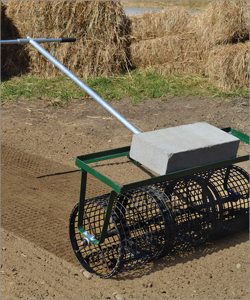 Try our Snap-in Dibbles for the Seedbed Roller! Perfect spacing every time. Just squeeze, and they snap right in. 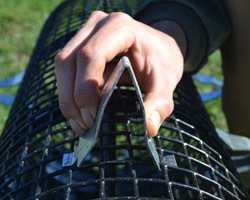 They work as well through plastic mulch as they do in open soil. Available in 3 individual sizes, as well as a convenient starter kit.